Founder and Executive Director of Just Peace Initiatives, Gohar is a peacebuilder, academic and restorative justice practitioneer. He recently participated in the European Forum for Restorative Justice Expert Meeting at KU Leuven University in Belgium and on the Expert Group Meeting on Restorative Justice in Criminal Matters, organised by the UNODC in Canada. 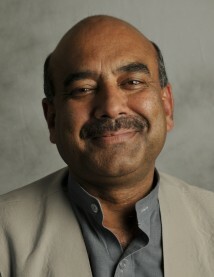 Gohar worked for 13 years as the Additional Commissioner for the Social Welfare Programme for Afghan Refugees at UNHCR. During this time, he worked to improve child rights, raise awareness about drugs and HIV/AIDS, improve community building and peacebuilding in 258 Afghan Refugee camps. He also wrote two Pushto plays for Pakistan Television on Drug HIV/AIDS awareness & Domestic Violence. When pursuing his MA in Conflict Transformation at Eastern Mennonite University, Gohar worked closely with Howard Zehr and co-authored ““The Little Book of Restorative Justice” for Pak-Afghan context. In 2001, Gohar was awarded a grant by United States Institute for Peace (USIP) to explore the principles of Jirga (a community based conflict transformation institution in the Pukhtoon belt of Pakistan). He published several articles about peace, restorative justice and Jirga. Also co-authored with Hassan Yousufzai, another CJP grad from Pakistan, the book “Toward Understanding Pukhtoon Jirga: An indigenous way of peacebuilding and more…” (2005). Gohar also developed a reference book and training manual on social work and trained the staff of eight Government Ministries in Afghanistan; worked as a Campaign Officer for Oxfam GB, to end violence against women; is the National Coordinator for Victims of Torture; and the founder member of “Quami Jirga” a peace initiative to promote dialogue between different stakeholders from Pakistan and Afghanistan. Gohar holds a MS in International Relations from Quaid-E-Azam University, Pakistan and an MA in Conflict Transformation from Eastern Mennonite University.